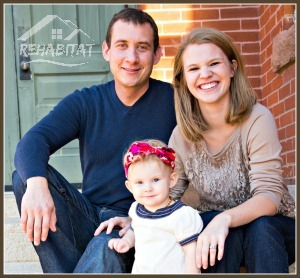 Our family strives to do as many homemade and practical gifts as we can. We also try to be low-impact when possible, finding ways to upcycle and recycle goods in our home. Sometimes gifts for him can be the hardest to come up with, but the most satisfying to create because it really does take some creativity so much of the time. My daughter and I worked on making a homemade Manly Soap dispenser with a manly smelling soap! 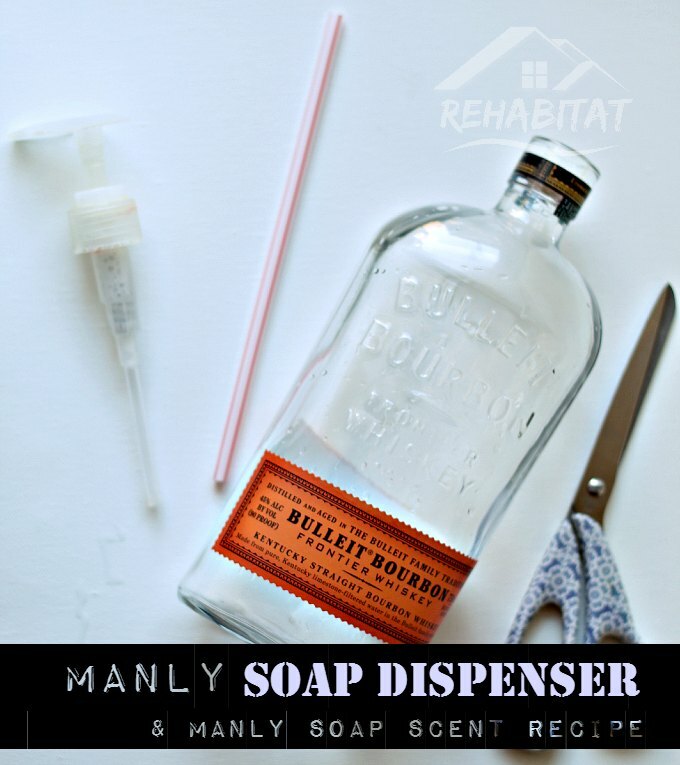 It’s a fun idea to decorate a bathroom for the man in your life and utilize a bottle of his favorite drink or unique glass container. Affiliate links included in the post for your convenience. It is pretty easy to assemble a really great soap dispenser from your favorite glass bottle. It makes for a great gift, even better conversation piece, and a really unique bathroom design. 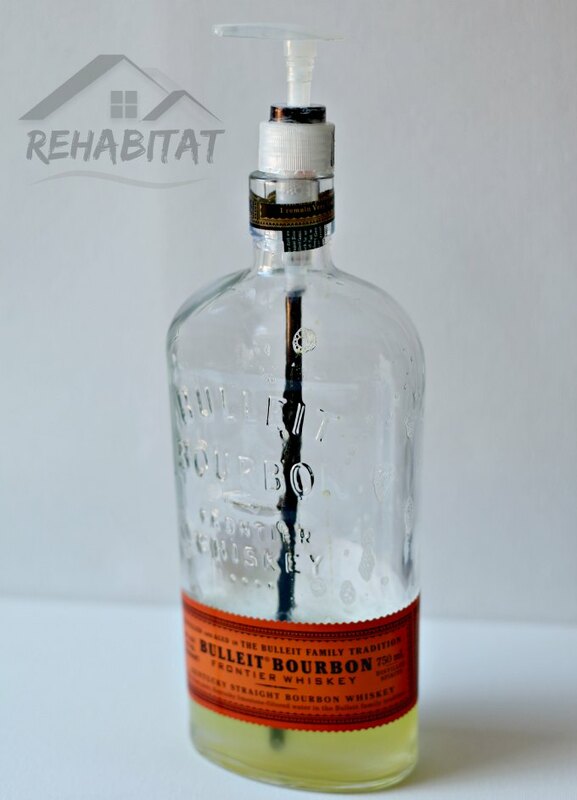 We personally made one out of a Bullitt Burbon bottle because we liked the unique style and with my husband loving old-fashioned shaving tools, it had the right “look” for the bathroom we were going for. A Soap pump – You can get a brand new one where you can choose the look of it, or you can upcycle an old one. My daughter and I personally found an old one from a disposable soap purchase and adapted it to fit our needs. Your man’s favorite glass bottle. This can be anything from a bourbon bottle to a Mexican Coca-Cola bottle. The more unique the better! Essential Oil of your choice. Some manly ones and ones my husband likes are Sandalwood, Peace & calming, and Panaway. Note that your oil choice may also affect the color. Once you have your bottle and your pump, you will need to find a straw or plastic tubing that fits snuggly onto the pump. You can either fit it over the top of the piece that is there (if it is) or you can completely replace it. We personally fit the straw over the top because it had a better fit… and if it’s not snug enough, then the pump won’t work properly. To make it look better with the bottle, we colored the straw black. That, of course, is completely optional. Once you attach the straw or tubing, you will want to hold it up next to your bottle and cut a level line with the bottom of the bottle. Then test your measurement by inserting it inside the bottle. 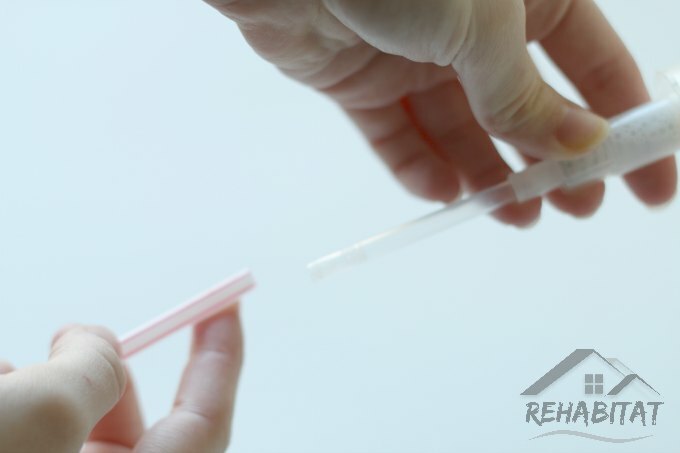 Once it is the right height, cut an angle on the straw/tubing to ensure the best suction and ability to pump once the soap level gets low. The electrical tape comes into play if you need to get a better fit for your pump. It will help a pump stay in place kind of like corking. Finally, you will want to fill it with soap. Instead of buying a manly soap scent that has lots of chemicals in it, we reduce our exposure by using essential oils. 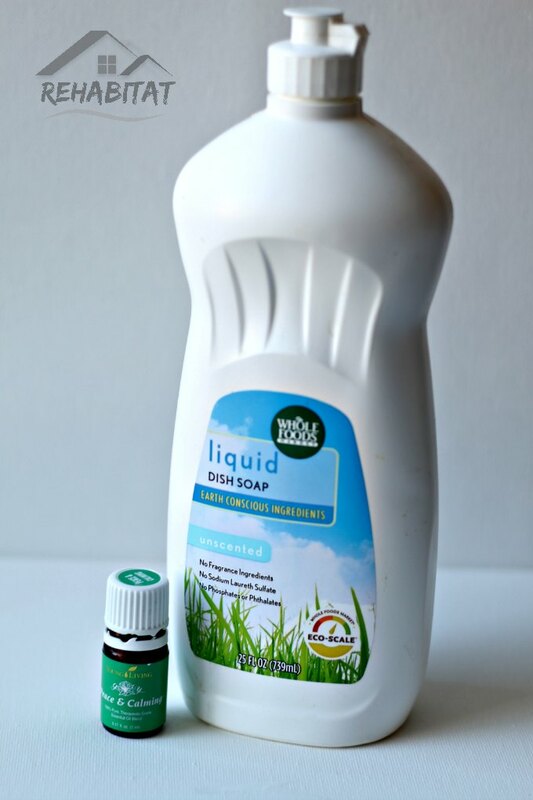 It’s really easy to simply get a bottle of unscented dish soap and add your favorite oil or oil mixture to get the scent that you all love the most. I had my husband pick out his favorite scents to use. He of course loves the manly scent of sandalwood, but also loves PanAway and Peace & Calming. And for a scent that is pretty universal (and one that’s part of the wholesale starter kit), lemon works really well! Just add 10-20 drops of the desired oil per cup of soap or until the scent is at your desired strength. BEST idea ever lol I am going to have to pin this because I just lOVE this idea and I save all of these bottles that my husband drinks for some project just like this lol, I am about to have like 20 of these! that is totally awesome! I love it! !